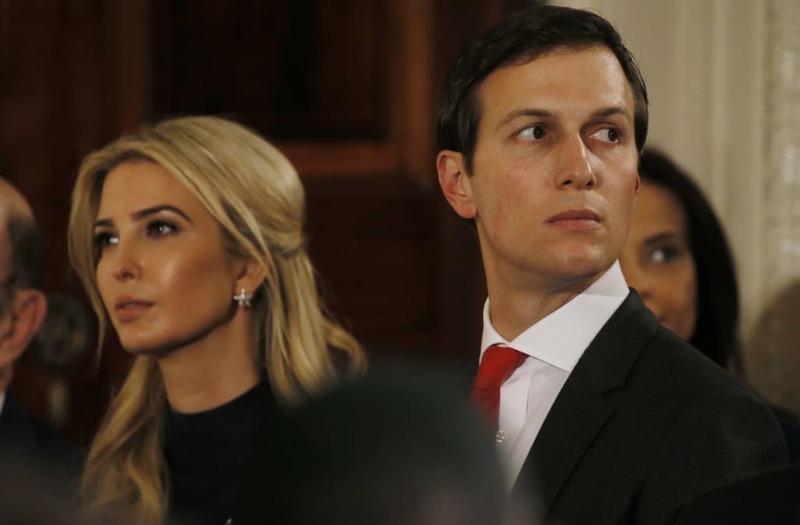 First daughter Ivanka Trump has revealed that she and husband Jared Kushner are exploring Washington, D.C.—in fact, they took a walk around the National Mall Sunday night. She made the admission during an interview with 'CBS This Morning' published on Monday. Ivanka told the hosts, "Late last night Jared and I went for a walk around the Mall, and it was so beautiful with the Lincoln Memorial and the Washington Monument...We had sneakers and baseball caps, and it was amazing." She added, "We're trying to explore this new environment and new city, and really sort of interact with it and enjoy it." At one point, Kushner walked in the room and declined to be formally interviewed, but he described their nighttime walk as "Beautiful. Great Company. Beautiful scenery." Overall, Ivanka remained positive about her time living in D.C., saying, "I love it here, actually. It has been an adjustment for our family, but it's actually a really lovely place to live. The museums are incredible. There's space, which is nice. I think in New York you lack that." She and Kushner moved to a nearly 7,000-square-foot home in the upscale Kalorama neighborhood of D.C. in January. Though CNN reports that Ivanka kept a largely low profile after the family initially moved to D.C., in March, it was announced that she would become an official but unpaid employee of her father's administration. Ivanka recently told the New York Times that she's becoming a more proactive member of the Trump team, but admits she's still struggling a bit with the political learning curve. She said, "I do believe that in time I'll get to the right place. In the short run I'll have missteps, and, in some cases, I'll take shots that I could have avoided if I had publicly said what I think."